The collections were started by the late Jack Kingston in the 1930s. Pat and Freda Manning started their collection in the mid-1960s. The collection of photographs, records and other artifacts gradually grew until it was no longer possible to house it in a normal house. The Torpoint archives are the local coordinators for Torpoint and the Rame peninsula for the recently formed Cornish Audio-Visual Archive (CAVA). This is an organisation formed by the Institute of Cornish studies, Cornwall records office and other Cornish organisations to record and preserve the Oral History of Cornwall. Facilities are provided for anyone wishing to research local history or family history. Torpoint archives are able to research Torpoint records for persons who are unable to attend the archives, for a small donation of five pounds to help with much needed funds. They are not able to undertake long, detailed research. 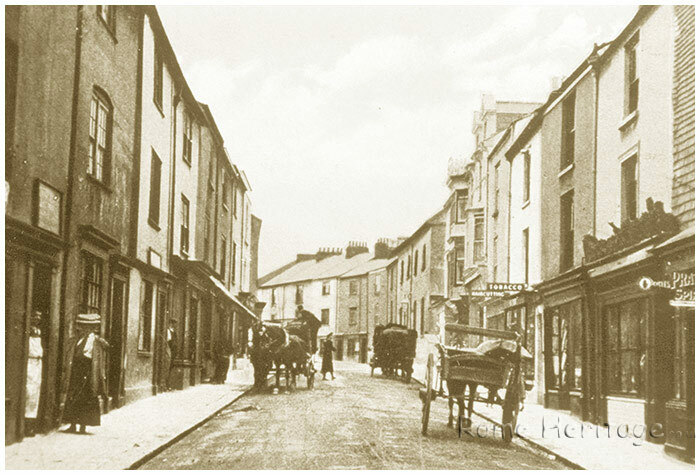 The archives can be found at the council offices, 1-3 Buller Rd, Torpoint. Admission is free. Tuesday 2 p.m. to 4 p.m.
Friday 2 p.m. to 4 p.m.
Why not join the friends of Torpoint Archives. For a small annual subscription of three pounds you can help preserve Torpoint's history. Either call in or telephone them during opening hours on 07530976981 to receive a membership application form.